Chemical additives injection is a broad description for a varied set of applications that require a small volume of fluid to be added or blended into the main product stream. Applications include petrochemical, waste water, aluminum, plastics, cosmetics, facial tissue, and many more. 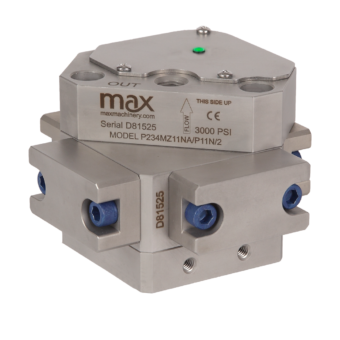 Whether the flow is continuous or intermittent, Max Precision Flow Meters provide a repeatable and highly accurate signal to be used for closed loop flow control and/or alarm settings. Piston Meters are ideal for this application because of their high accuracy and high resolution. They are made to measure concentrated or neat chemical solutions at very low rates and save you from the frustrations of blending solutions to meet the narrow range of other flow meters. 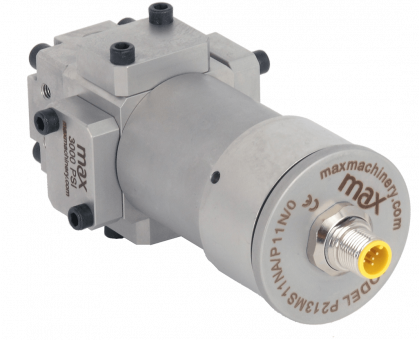 Max Machinery transmitter technology provides a more reliable signal and prevents over reporting due to pulsations in the system. 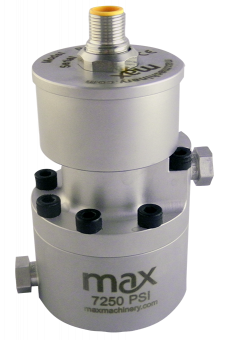 Max Precision Flow Meters provide the operator the ability to precisely dose the liquid into the process or fine tune flow rates to perfect closed-loop flow control.